One of the perennial issues with creating great-looking banners is the compromise that often must be made between strength and good looks. Most of the time, if you want a super-strong banner that can stand up to abuse, such as high outdoor winds, that means using reinforcement which is visible and interferes with the banner graphics. 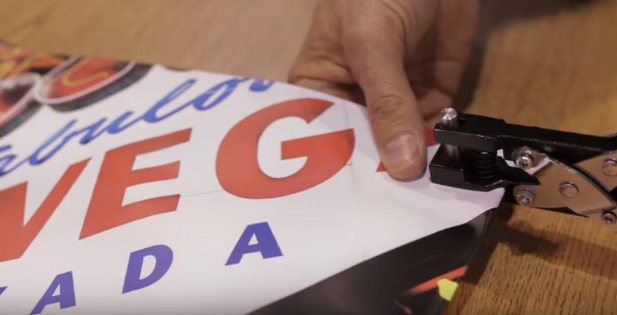 However, with Banner Ups BravoTabs plastic grommet alternatives, along with some MegaTape and a strong hole punch like the PowerPunch, you can create your own super-strong banner with virtually invisible reinforcement! This will all be done on the backside of the banner. It’s helpful to understand up-front that all four edges will be folded inwards by the end of the process, to create the strengthened sides, so align your BravoTabs accordingly. 1. 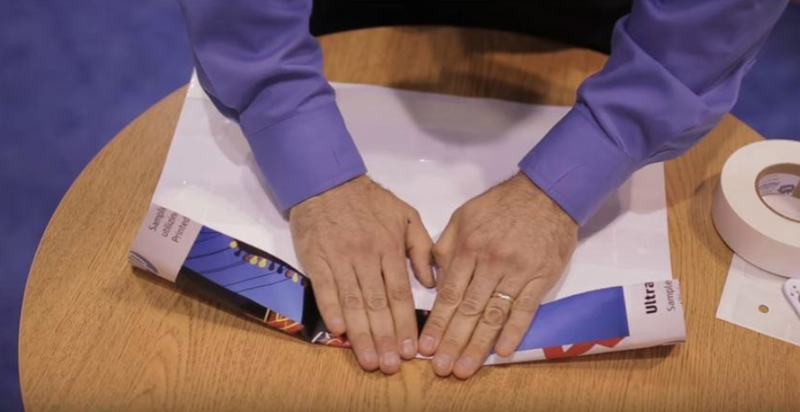 Apply BravoTabs to the four corners of your banner, but install them flat and do not fold them over as normally done. 2. For larger banners, apply more BravoTabs along all four sides every 2-3 feet for extra reinforcement. 3. Apply dual-sided MegaTape along the top and bottom edges of the banner. This should not be flush to the sides, but rather along the hinge line of the tab. That way, when the banner tabs are folded inwards, the MegaTape will be located along the edge of the folded hem. Don’t remove the backing tape yet. 4. To ensure the fold lines are correct, prefold and crease the hem to make sure MegaTape hem is perfectly straight. 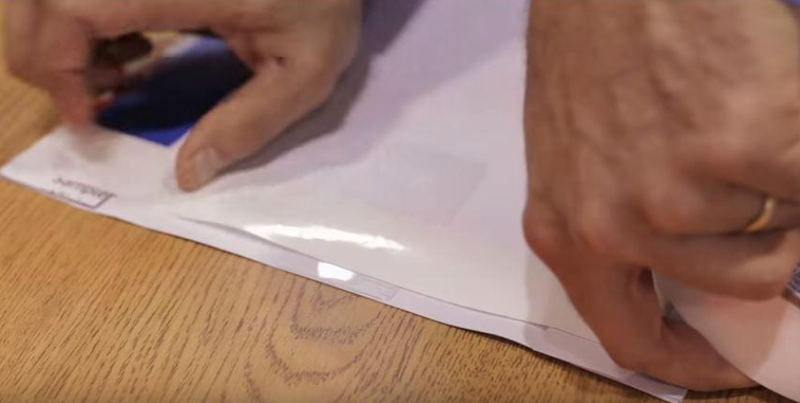 If everything looks good, remove the backing and re-fold the top and bottom edges to bond them in place. 5. Repeat the same process with the sides: Add MegaTape, fold it to check the fold lines, then remove the backing tape and permanently fold it over. 6. Use a hole punch or PowerPunch to fully remove the material within the BravoTabs holes on the four corners. 7. String a strong rope or bungee cord through the resulting holes. That’s it! You’ve got a super-strong banner, yet all the reinforcement is on the backside. Want more Banner Ups tips or a free sample? Just contact us!